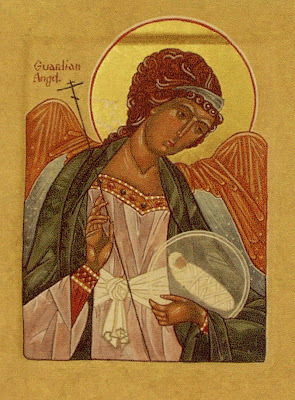 St. Anastasios of Sinai teaches: "To every Christian is given an angel [Guardian Angel] from God to guard him all his life unless someone through evil deeds drives him away. But as the snake drives away bees and evil smell drives away pigeons, thus our sins drive away the guardian angel of our life: drunkenness, adultery, anger and so forth. The angel of every faithful man leads him to every good deed, while the demons exert to scandalize the faithful ones and to deprive them of the Kingdom of Heaven." 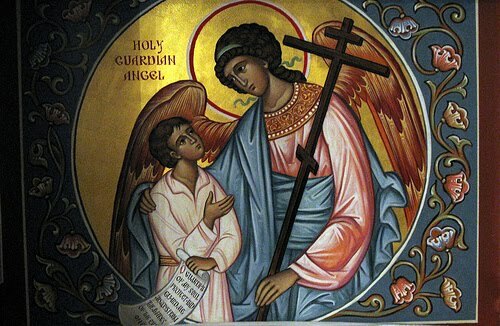 The angels are close to men and that they take care of men, the whole of Holy Scripture attests to this, but especially the New Testament. Besides this, there exists in the Orthodox Church numerous traditions of saintly men and women, who witness to that which St. Athanasius confirms, i.e. that is that each one of us in this world is accompanied by a gentle and mighty [herald] messenger of God, a soldier of the King of Heaven, the angel of light. Who, except an insane person drives a good friend away from himself? In truth, only the insane and the extremely ignorant, drive away their best friend, their guardian angel by their sins.